By mid-April in some parts of the Fells – certainly Virginia Wood and near Bellevue Pond – comes a true beauty. 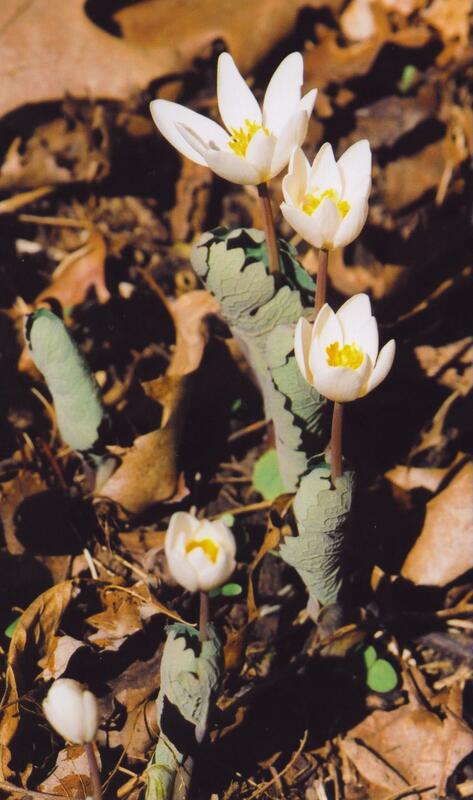 One of the early spring ephemerals, Bloodroot, is so called because the root, if cut, bleeds red. This delicate white-petaled flower with deep yellow anthers stands wrapped in its ‘quilted’ blanket of leaves on a frosty morning waiting for the sun to warm up before it opens. Another early beauty is Round-leaved Hepatica, sadly not very common in the Fells but it can be found on the south slope of Bear Hill. These flowers are termed ephemerals and indeed have a brief moment of glory whilst the sun reaches the woodland floor, and then are gone as quickly as they came. Around the third or fourth week of April the woodland floor, which has been a dull brown ever since the snows melted, almost miraculously develops large patches of bright green. Most of this is the result of the leaves of Mayflower pushing up and filling out. Others leaves developing now are wood anemone, wild columbine often in cracks on rocks, and on higher drier ground – Pussytoes with its small heads of furry white flowers. The streams and swampy ground, which saw the first activities at the beginning of the month, towards the close are entering a second phase of development and color. The bright green leaves of skunk cabbage are now getting very large marking water courses clearly from a distance. Above them is the gangly shrub Spicebush with its bunches of tiny yellow flowers along the leafless branches catching the sun. And Marsh Marigold, whose leaves have been developing for some time, blooms. 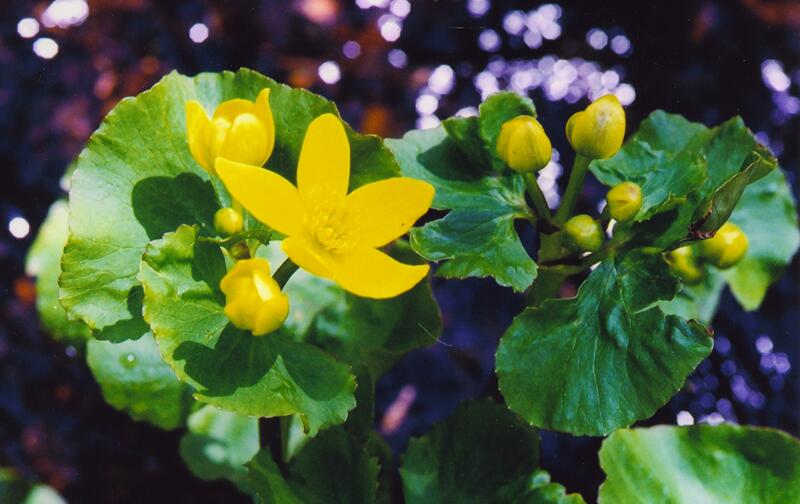 In royal England it is called Kingcup reminding us that it is not a marigold (daisy family) but rather a top-of-the-line buttercup, definitely looking regal in its boggy habitat. By the last week of April large patches of Trout Lilies, with their brown spotted leaves, can be seen at Bellevue Pond and at the west end of the blue trail by Whitemore Brook. 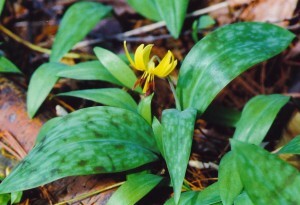 These delightful small lilies reflex their yellow petals on sunny days exposing dark red anthers. 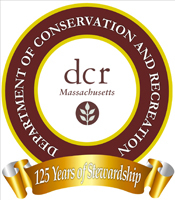 The information and images in this post initially appeared on Found in the Fells, a project of Friends of the Middlesex Fells Board Chairman Dr. Bryan Hamlin.